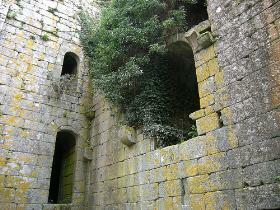 Pambre Castle was built in the second half of the 14th century by Gonzalo Ozore de Ulloa. 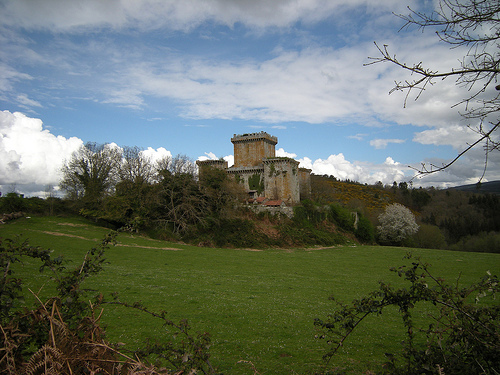 It is one of the few castles in Granada that wasn't destroyed during the Irmandinos uprising. Thus it is one of the best preserved examples of medieval military architecture in Spain. 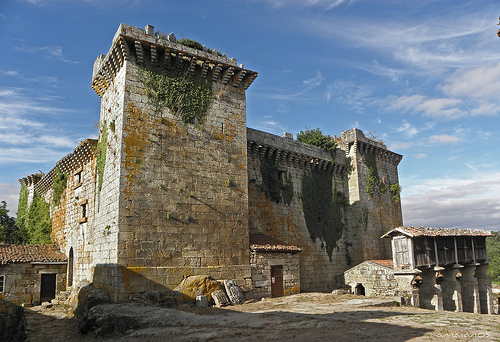 The Pambre Castle has a square plan and consists of 4 corner towers and 2 curtain walls that protect its huge central keep. Located on the top of a hill, overlooking the river Pambre gorge, it is covered by vegetation and trees. Pambre Castle is in private hands and thus its interior cannot be visited, but the exterior is a must see if you are in the region. 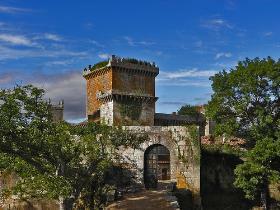 The Pambre Castle is located in Palas de Rei, Spain.